In 1985, I entered Hull School of Architecture, and six year later emerged, blinking, with a B. Arch, a M. Arch, and a year in practice. Then I promptly moved back to the States, where the building technologies are completely different. So I’m not a registered architect here, but still cherish my design education and utilize it for interiors, house renovations, and project management. I specialize in color coordination and space re-organization. 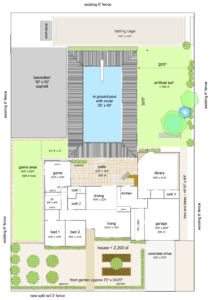 I can also measure your building/garden and create AutoCAD drawings. I work primarily in the Santa Barbara area, and charge $60 per hour. If you have a house and don’t know what/how to modernize or upgrade it, I can help! Call 805.440.5573 or email DrKyreAdept@gmail.com to discuss the possibilities.